The city of Popayán is the capital of the state of Cauca, in the southern half of Colombia. The surrounding coffee region is on the plateau where the Andes mountain range reaches southern Colombia from Ecuador. From there, the Andes breaks into the 3 separate mountain ranges (cordilleras) that cross the country from south to north. 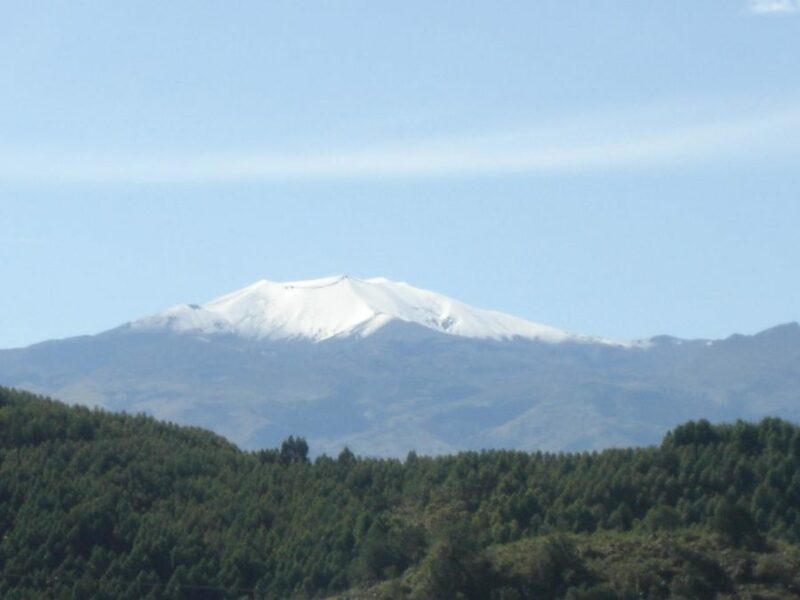 The Cauca and Popayan plateau is at an average of 1,600 meters above sea level and includes the neighboring Purace volcano (pictured above), which has over time has produced the region's rich soil. Coffee farms in the region are mostly of less than 5 hectares, and there are also several indigenous groups that have been growing coffee for several decades. There are two rainy seasons that produce a main crop and a mid crop, guaranteeing fresh coffee year round. The main crop is between April and December, and the somewhat smaller mid crop is between December and January. All cherries are handpicked and then pulped and washed on the farms. The dry parchment is then sold to a dry mill that arranges the selection and export. The cup resulting from the area's soil conditions, altitude and washed processing generally have a very good aroma, medium acidity and medium body that combine to present a pleasant, sweet, chocolate aftertaste.